Damn, this post has been SO LONG in the making. As you probably all know, I am a huge fan of propolis, ever since the COSRX A-Sol with propolis did wonders for my acne-ridden skin. I got the idea for a huge comparison post of propolis essences after I noticed that I had several on the way to my doorstep but that also entailed that I try and use all of them for a while to be able to compare them with each other. 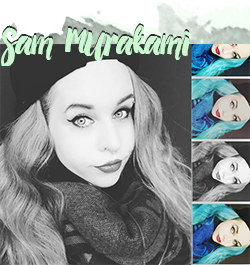 That took longer than I initially anticipated and my recent break from blogging didn't help with that either. 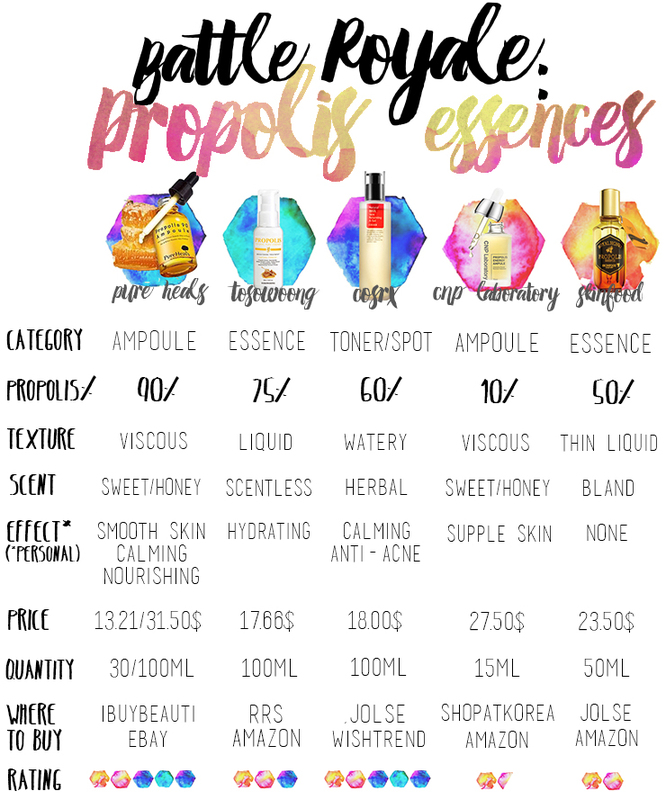 In this post you'll find a thorough comparison chart of five different (mainly) propolis essences and ampoules (with the exception of the COSRX A-Sol), judged by propolis percentage, effect it had on my skin, price, quantity and of course ingredients! Propolis is the resinous material gathered by honeybees from flowers and leaf buds of various plants. The propolis acts to seal, disinfect and waterproof the bees and their hive. For hundreds of years people have recognised and used propolis as natural medicinal and antiseptic aid for healing wounds. More recently propolis has been used in a variety of skin care products and slowly became an important part of many Korean skincare lines as its natural properties make it a unique ingredient for problematic, acne-prone or sensitive skin. As propolis is rich in natural antibiotics and helps neutralising any bacteria or fungi that may enter the bee hive, it is a very promising ingredient for anyone with acne-prone skin like myself. Used in skincare, it is great for healing, desensitising the skin and controlling break-outs. It also is known to have a stimulating effect on tissue growth, anti-inflammatory properties and a positive influence on the immune system. Note: If you have any known allergies against bee products, do not use propolis or proceed with great care when introducing new products for your own health's sake. As someone who has battled with acne throughout the years, propolis was something that I desperately needed in my skincare routine. However, not every propolis essence is created equal. In fact, I was quite shocked at the vast differences between the essences and ampoules that I tried. Not only in terms of price and quantity, but especially when it comes to the crucial part of the actual propolis percentage inside the product. 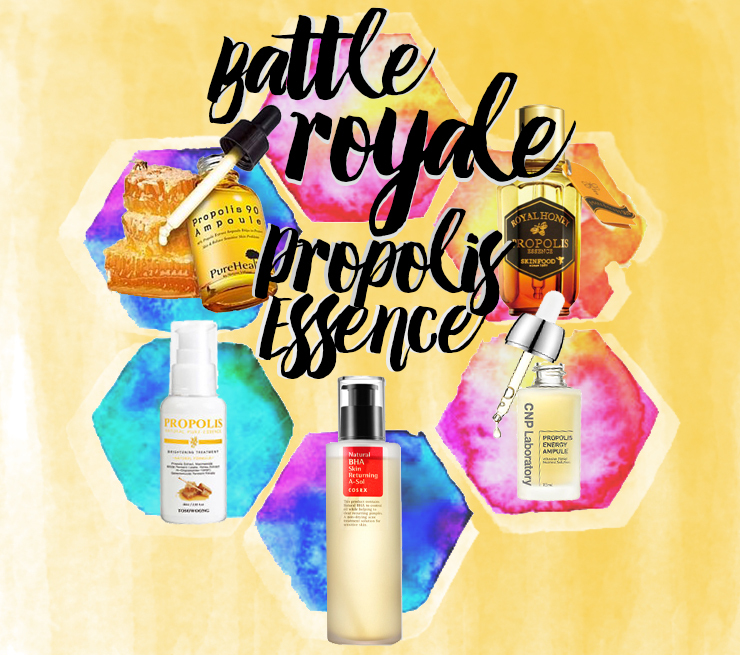 So without further ado, please enjoy today's battle of my Top 5 Propolis Essence/Ampoules (ingredient's list due to the restricted space below the chart)! Note II: Where To Buy only includes a few shops, with the cheapest option (when I wrote this post) at the top. There may be more shops where those products are available that might be cheaper depending on your location. Price is the standard price I found on most sites without any discount, you may be able to get it for a better price if you carefully look around. Pure Heals Propolis Ampule: Propolis Extract, Aloe Barbadensis Leaf Water, Niacinamide, Hydroxyethylcellulose. Sodium Polyacrylate, Castor Oil, Sodium Hyaluronate, 1,2-Hexanediol, Argania Spinosa Kernel Oil, Safflower Seed Oil, Sunflower Seed Oil, Butylene Glycol, Illicium Verum (Anise) Fruit Extract, Caprylyl Glycol, Honey Extract, Glycyrrhiza Glabra (Licorice) Root Extract, Caramel, Adenosine, Rose Flower Oil, Tagetes Minuta Flower Oil, Mentha Arvensis Leaf Oil, Elettaria Cardamomum Seed Oil, Thymus Vulgaris (Thyme) Oil., Eugenia Caryophyllus (Clove) Leaf Oil, Tea Tree Leaf Oil, Vetiveria Zizanoides Root Oil, Cymbopogon Schoenanthus Oil, Lavender Oil, Citrus Limon Peel Oil, Orange Peel Oil. Tosowoong Propolis Natural Pure Essence: Propolis Extract (75%), Butylene Glycol, Glycerin, Niacinamide, Water, Oligopeptide-1, Galactomyces ferment filtrate, Bifida Ferment lysate, Gotu Kola, Betaine, Allantoin, Acrylates/C10-30 alkyl acrylate crosspolymer, Arginine, Adenosine, Honey, Royal Jelly Extract, Olive Leaf, Extract, Sodium Hyaluronate, Blackberry, Raspberry, Strawberry, Bilberry, Cranberry, Juniper, Soapberry, Blueberry, Phenoxyethanol, Ethylhexylglycerin, Disodium EDTA, Aronia berry extract. COSRX Natural BHA Skin Returning A-Sol: Propolis Extract, Alcohol, Butylene Glycol, Sodium Lactate, Lactic Acid, Glycolic Acid, Betaine Salicylate, Sodium Hyaluronate, Panthenol, Allantoin, Cassia Obtusifolia Seed Extract, 1,2-Hexanediol PEG-60 Hydrogenated Castor Oil, Tea Tree Oil. CNP Propolis Energy Ampule: Water, Propolis Extract, Glycerin, Sodium Hyaluronate, Butylene Glycol, Beta-Glucan, Punica Granatum Fruit Extract, Ficus Carica (Fig) Fruit Extract, Codonopsis Lanceolata Root Extract, Melissa Officinalis Leaf Extract, Sophora Flavescens Root Extract, 1,2-Hexanediol, Imperata Cylindrica Root Extract, Honey Extract, Madecassoside, Allantoin, Sigesbeckia Orientalis Extract, Rabdosia Rubescens Extract, Palmitoyl Tripeptide-38, Hydroxypropyl Cyclodextrin, Arginine, Disodium EDTA, Polysorbate 20, PEG-8, Carbomer, Hydroxyethylcellulose, Pelargonium Graveolens Flower Oil. Skinfood Royal Honey Propolis Essence: Propolis Extract, Royal Jelly Extract, Honey Extract, Glycerin, Dipropylene Glycol, Butylene Glycol, Portulaca Oleracea Extract, Arginine, Beta-Glucan, Disodium EDTA, Sodium Hyaluronate, Hydroxyethylcellulose, Carbomer, Phenoxyethanol. Now that we have all the formalities out of the way, let's get real here. Starting at the bottom, the CNP Propolis Energy Ampule absolutely broke my heart. Shattered it. Why you ask? When I lived still in Korea I absolutely loved that ampoule. It made my skin soft and subtle and I thought my skin really benefitted from this. And then I go and do some digging about the ingredients for this post and found out that the percentage of propolis inside is 10%. TEN. I expected it to be a lot higher, especially for that price. Although I really liked to use this ampoule texture-wise, the price/quality ratio so to speak makes it the loser in today's battle. How can you do this to me CNP...?! Almost a winner today is the Tosowoong Propolis Natural Pure Essence, which falls exactly in the middle spectrum for me. The price/quantity ratio is totally okay in my books (especially since it's mostly on sale at Rose Rose Shop! ), it doesn't really have a scent (which I personally prefer) and hydrates the skin nicely. I didn't break out from this and went through the whole bottle rather quickly. I would repurchase this in a bind, but I am just not crazy over it. It is a very solid product with 75% of precious bee gold inside so if you don't know where to start, this is a good and gentle product to start. Second place today makes my beloved COSRX Natural BHA Skin Returning A-Sol - I would crown it the winner, but it's the odd one out today that almost doesn't really belong in this comparison, as it fulfills different things than the other essences in this review. However, with a good and solid 60% of propolis, I wanted to throw in my towel for this.....again. Because it's a wonderful product that soothes my acne like no tomorrow and it also on the more affordable spectrum. If you have problematic skin like I do, you may want to give this a try - but be aware, the high alcohol content doesn't work well with certain skin types. Today's winner BY FAR is the Pure Heals Propolis Ampule with a whooping 90% of propolis! And I must say, it really shows. I bough this ampoule from Ibuybeauti on a whim when I was still missing one contender for this propolis comparison battle. And am I glad I did! This ampoule worked incredibly well for me: My skin was amazingly soft for the whole time that I used it, my acne remained relatively calm and my skin just had that glow that we often seek. I whole-heartedly recommend this ampoule for anyone as crazy over propolis as me. Just get the 100ml version instead, as my 30ml ran out way too fast than I would've liked.